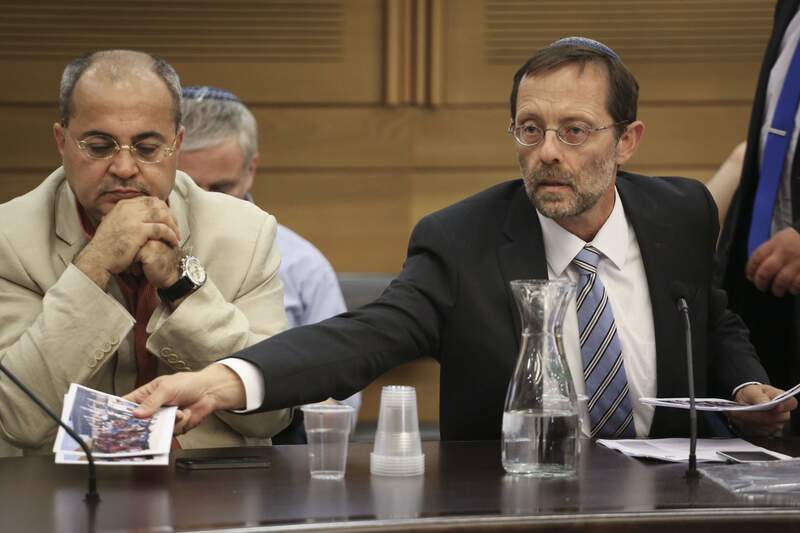 MK Moshe Feiglin in a Knesset committee meeting, next to MK Ahmad Tibi, in 2014. It appears Feiglin is on his way back to the Knesset, while Tibi just sank below the threshold minimum vote. 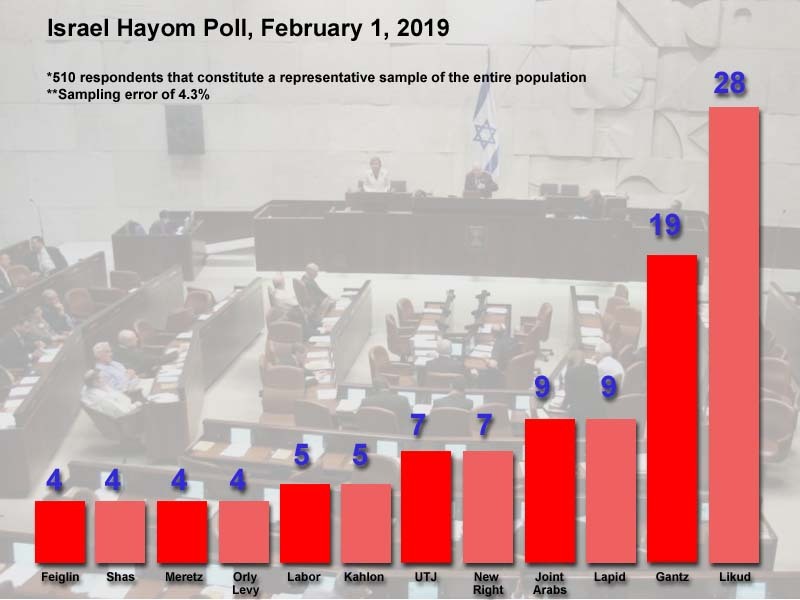 An Israel Hayom poll published Friday morning shows former IDF chief of staff with 19 seats, the Likud down from 30 to 28, the Labor Party falling to its lowest point so far –5 seats, Yair Lapid’s Yesh Atid stuck in the mud with 9 seats (down from its current 11, which is down from its previous Knesset list of 19), and, for the first time in this campaign, the Zehut (Identity) party, headed by former Likud MK Moshe Feiglin who is a regular pundit at Jewish Press Online, crossing the electoral threshold with 4 seats. The numerous splits of the past few months, on the left and on the right—some of which may end up merging by the official deadline set by the Central Elections Committee, have led to many parties that are swinging just above or just below the: Gesher, headed by Orly Levy-Abekasis, receives 4 seats, while Shas, Meretz, Habayit Hayehudi receive only 3. Here’s another doozie: Both Avigdor Liberman and his nemesis Ahmad Tibi get only 3 seats and walk into the setting sun, probably not hand in hand. And like we said, Zehut, headed by Cool Hand Feiglin, which just held the first open primaries in Israel ever on Tuesday, and did it online (you gave them your ID number and cell number, they SMSed you a code, you clicked in and got to spread 6 points among the candidate/s of your choice) is also on the verge of the electoral threshold – but for the first time looking at the abyss from above, with 4 seats. 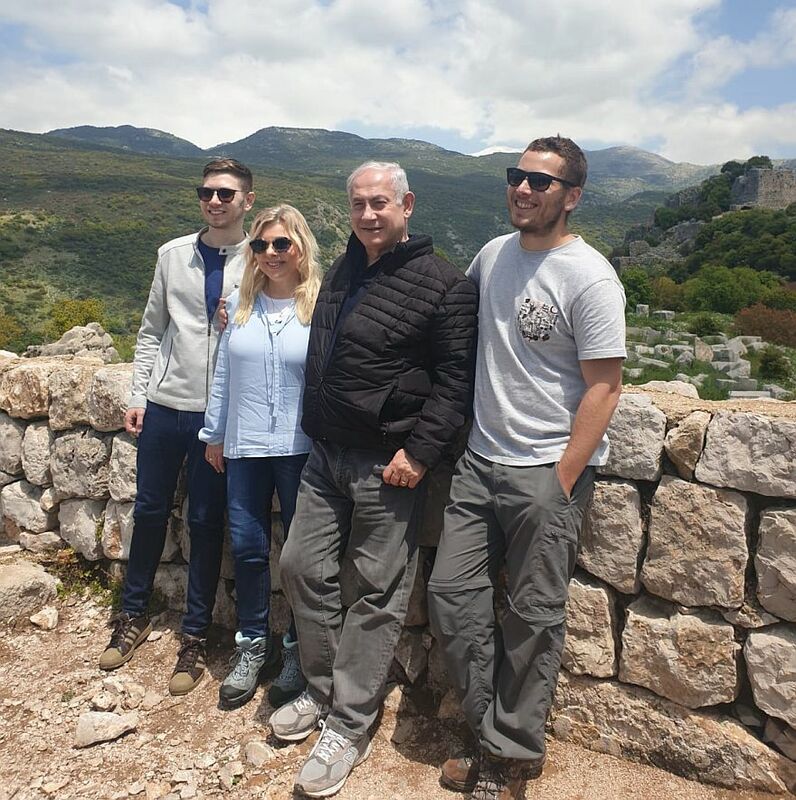 Parties that are so far from the threshold they’re already in Party Heaven (doesn’t that sound like the place you’d want to go when the time comes) are Tzipi Livni and Eli Yishai, each of whom receives but one mandate. 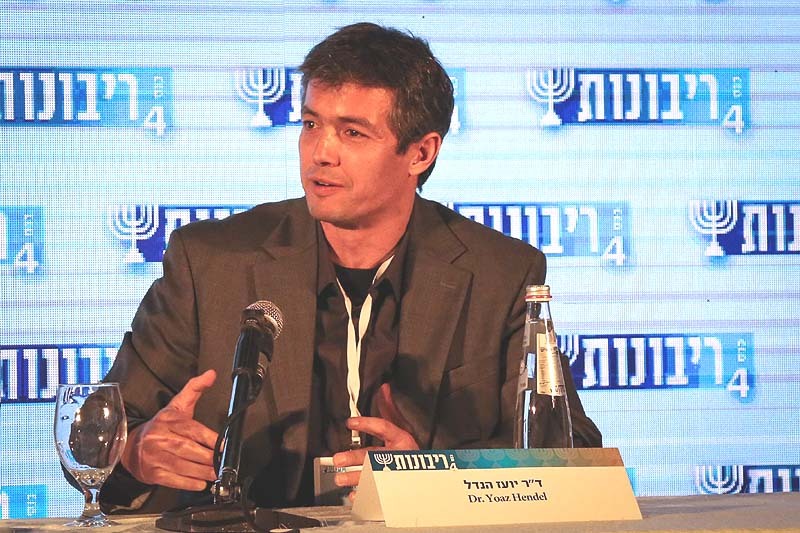 The survey examined a scenario according to which Gantz and Lapid unite and bring in former Chief of Staff Gabi Ashkenazi. The result: they all get 32 ​​mandates, with the Likud pushed to second place with 30, while Labor falls into the 3.25% abyss and goes to pole paradise with a measly 3 seats (down from 24). Immediately after Ganz’s speech, the Likud and New Right tried to associate Ganz with the left, while Resilient to Israel, Gantz’s party, what a name) insisted that theirs is a centrist party. Well, the poll showed that 25% of respondents still do not know how to define him. After the pollsters removed the “I don’t know” results, 52% of the rest located Gantz at the center, 19% see him as a right-winger, and 29% as left-winger. Final surprise: on the issue of who is more suitable to be the next prime minister, Netanyahu leads safely with 38%, while Gantz gets only 22%.